Ravenwood serves farm dinners throughout summer and fall. The summer season, in all its splendor, is ephemeral. But its fleeting glory casts a spell of magic over the region and summons us outdoors for adventure, sightseeing, and sun-soaked fun. 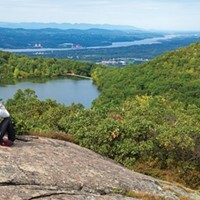 It's true that every season in the Hudson Valley has something to offer from skiing to apple-picking, but here is a list of 10 activities best enjoyed while the days are long and the weather is warm. Need an exciting way to cool off from the blazing August heat? Make a splash in the Esopus Creek as you tube down its waves and rapids. Town Tinker Tube Rental includes all equipment and safety gear for the thrilling, two-hour adventure beginning at its headquarters in Phoenicia. Slap on a helmet and get pedaling. The region's rail trails are perfect for a day of biking through nature. In Orange County, you've got the Orange Heritage Trail, a paved, 10-mile trek from Goshen to Monroe. Further north, the Hudson Valley Rail Trail will take you from Highland to Poughkeepsie over the Hudson River via the Walkway Over the Hudson. Bike alongside picturesque ridge views from Gardiner to Rosendale on the Wallkill Valley Rail Trail—or, if you're on the other side of the river, hop onto the Putnam County Trailway or Harlem Valley Rail Trail. Ok, so maybe you're not a biker but you still want to ride one of the Valley's awesome, scenic trails. With Rail Explorers, you and your family can operate a pedal-powered, electric-assisted rail car on an 8-mile round-trip ride in Phoenicia. Ride on the tracks of the historic Ulster & Delaware Railroad and enjoy the Catskill Mountain views from your tandem or quad vehicle. Don't forget the sunscreen! Take the reins—er, paddles—on a kayaking excursion. 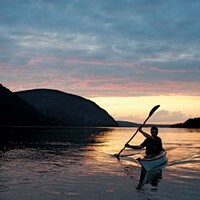 Hudson River Expeditions rents out kayaks, canoes, and paddle boards in Cold Spring, Peekskill, and Nyack. They also offer guided kayak tours and will host Paddle for a Cure on September 8 to raise money for breast and ovarian cancer. If you want to start farther north, check out A Day Away Kayak Rental in Kingston. Summer's a great time to get familiar with the tastes of the region. Tracking down short-term food events is a fun way to do just that. Recently, local chefs Rei Peraza, Josh Rosenmeier, and Ric Orlando have run pop-up shops in the area. Keep your eyes—and taste buds—peeled for more spontaneous culinary greatness. 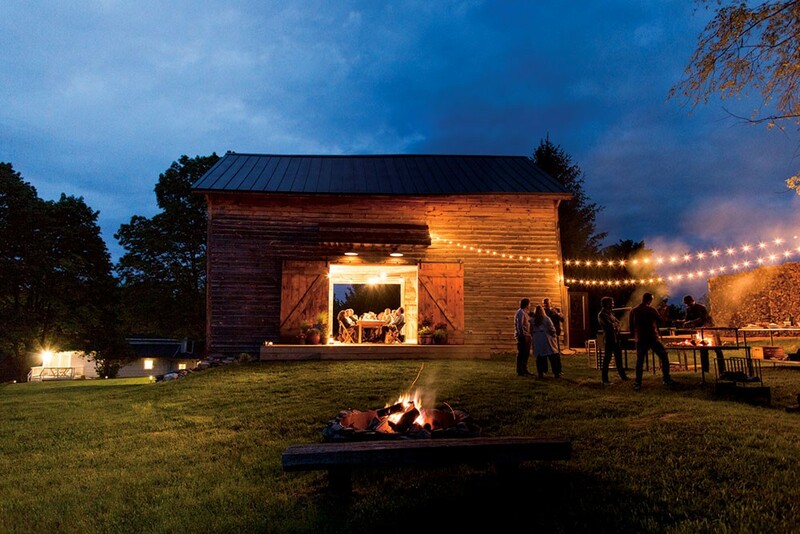 Going to a farm dinner is another, more intimate way to feast on local fare. In the warmer months, farmers open their barn doors to guests for a specialty farm-to-table meal. Space is limited for many of these events, so get tickets while you still can. Ravenwood, Bradley Farm, and Glynwood are just a few places hosting dinners soon. 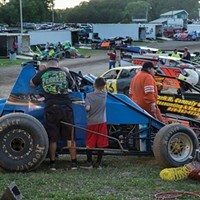 There are plenty of places to with films al fresco this summer—Four Brothers Drive-In in Amenia and Water Street Market in New Paltz, just to name a couple. Whether you roll up drive-in style or bring your picnic blankets and chairs, outdoor movies are a cool, communal experience. Speaking of outdoor entertainment, venues abound for summer listening. Berkshires' gem Tanglewood continues its programming through Labor Day weekend; one of the season's highlights is always the Boston Symphony Orchestra's performance of Beethoven's Symphony No. 9 on August 26. A cappella phenoms Pentatonix take the stage at SPAC on August 22 just as horse racing season is winding down in Saratoga. The original site of the Woodstock festival, Bethel Woods hosts the aural California sunshine of the Beach Boys on August 5. Each of these spectacularly-built pavilions bring in large crowds for one-of-a-kind, fresh-air concert experiences. Have some wholesome fun playing mini golf. Kelder's Farm in Kerhonkson, home to one of the largest garden gnomes in the world, has an original Homegrown Mini-Golf course featuring an edible course, lined with berries for your browsing delight. Also, check out Lakeside Licks in Highland, DC Sports in Wappingers Falls, and 94 Pitch & Putt in Washingtonville.